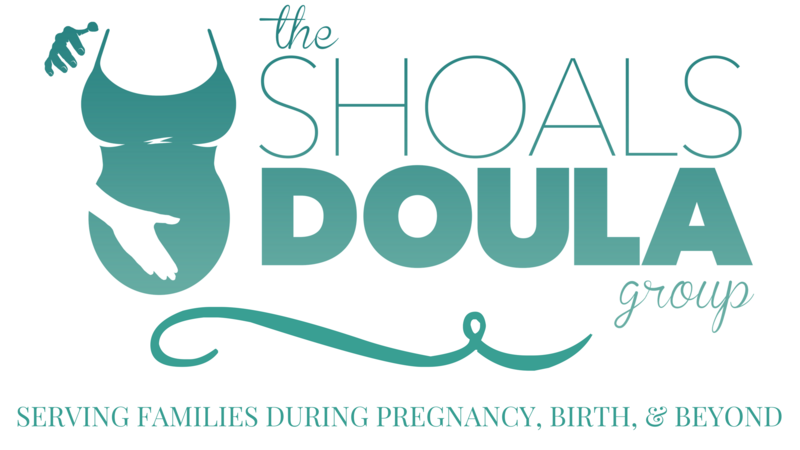 The Shoals Doula Group offers childbirth classes for the expecting family. 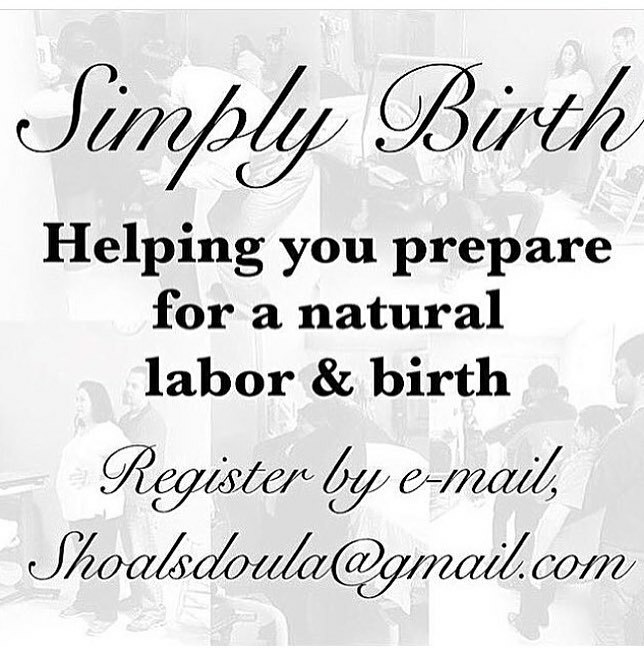 We call them “Simply Birth” because that’s what the class focuses on… the simple facts you need for a natural childbirth! Our classes are taught by Katie Terry, CLD. The cost is $75 ($50 for SDG clients). Classes for 2019 will be held in Florence, AL and Lawrenceburg, TN. What do our participants say…. My husband and I attended the Simply Birthing class with Katie Terry. She is very friendly and outgoing. I immediately felt comfortable with her. She’s very knowledgeable. I am a person that normally zones out after a few minutes, but Katie’s energy makes the class fun. 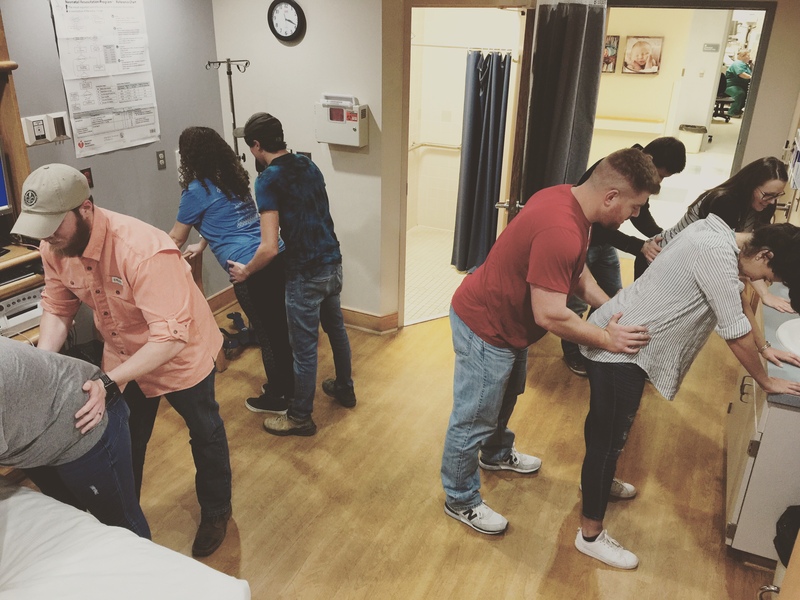 Even my husband who dreaded the class mentioned he was so happy he went so that he could learn how to help me during labor. I would recommend this class to everyone. 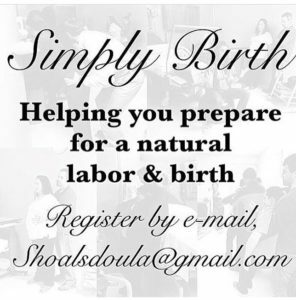 My husband and I attended the May Simply Birth class led by Katie Terry. Katie did a fantastic job and I am so thankful to have been a part of the class. On May 6th, I brought our beautiful baby boy into this world exactly the way I had hoped, without an epidural. This class gave me the courage and power for a successful birth. We can’t thank Katie enough!! 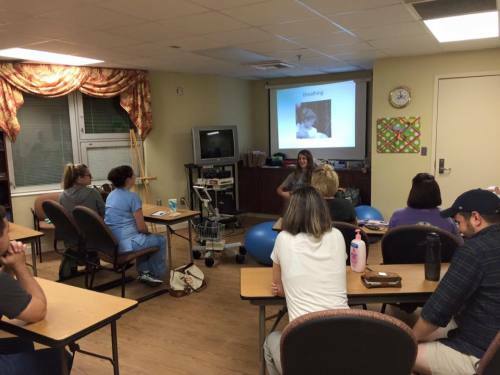 Katie’s simply birth class was wonderful! She did a fantastic job. We felt very comfortable to ask any questions or voice any concerns we had. Katie made it feel as if we had been lifelong friends.